Home / DESKTOP / NEWS / Security / Telegram leaked IP addresses of its desktop app users !! 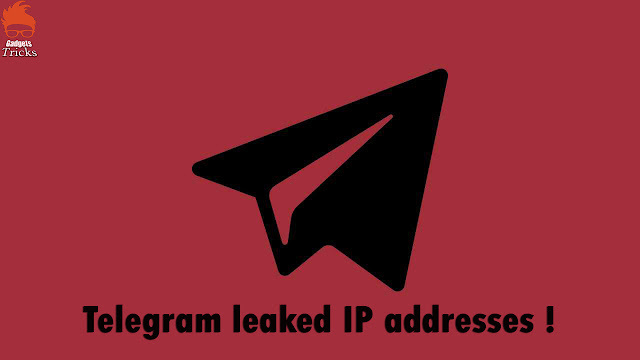 Telegram leaked IP addresses of its desktop app users !! This refers that, anyone and everyone attempting to make a voice call will be vulnerable to cyber-attacks. Telegram has, however, fixed the bug in one of the latest updates and the security researcher who identified the bug has been awarded EUR 2,000 by the company. Bug was identified by security researcher Dhiraj Mishra. According to Mishra, the desktop version of the Telegram app was leaking IP addresses during voice calls made via a peer-to-peer framework. Smartphone users can turn off P2P calls by modifying the settings: Settings > Privacy and security > Calls > Peer-To-Peer but desktop users of Telegram aren’t offered this option. Telegram boasts of a worldwide fan following with a whopping 200 million active users as of March 2018 and it is touted to be an ultra-secure messaging app that lets users make secure voice calls over the internet. But the discovery of a vulnerability in the most hyped feature of the app in its official desktop version does raise concerns. Classified as CVE-2018-17780, the vulnerability affected Telegram’s desktop app for Windows, Mac, and Linux OS.